Everyone has a price, and Ray Donovan is about to find out his in all 12 episodes from the exhilarating third season. Without a mentor or a family to lean on, Ray (Primetime Emmy and Golden Globe nominee Liev Schreiber) has never been more determined to do his own thing. But when he gets caught in a dangerous struggle between a billionaire (guest star Ian McShane) and his provocative daughter (guest star Katie Holmes), Ray soon discover..
Own Ray Donovan Season 4 DVD from Deff, DVD, Blu-Ray & 4K Video Specialists - Free UK Delivery..
A breakout hit that packs a punch, Ray Donovan makes its Blu-ray debut with the complete first season! Crisis-fixer Ray Donovan (Golden Globe-nominated Liev Schreiber) is at home with trouble until trouble hits home. Ray handles the combustible situations of L.A.'s rich and famous - Boston style. But his father, Mickey Donovan (Golden Globe winner Jon Voight), an Irish gangster, is the kind of trouble even Ray can't contain. Now on earl..
A breakout hit that packs a punch, Ray Donovan makes its DVD debut with the complete first season! Crisis-fixer Ray Donovan (Golden Globe-nominated Liev Schreiber) is at home with trouble until trouble hits home. Ray handles the combustible situations of L.A.'s rich and famous - Boston style. But his father, Mickey Donovan (Golden Globe winner Jon Voight), an Irish gangster, is the kind of trouble even Ray can't contain. Now on early pa..
Ray Donovan (Golden Globe - nominated Liev Schreiber), Boston bouncer turned Hollywood crisis fixer, can protect just about anything except the unity of his family. As his estranged ex-con father (Golden Globe winner Jon Voight) dodges the law, Ray’s lonely wife Abby finds herself drawn to a cop. Son Conor may be too close to home while daughter Bridget is slipping away. 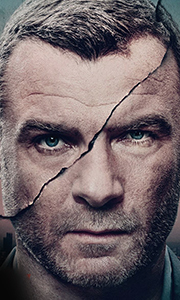 Can he hold the pieces of his family together while going to bat f..
Own Ray Donovan Season 5 DVD from Deff, DVD, Blu-Ray & 4K Video Specialists - Free UK Delivery..